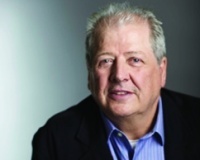 Fitch founder Rodney Fitch is stepping down as chairman of the consultancy. Fitch will leave the WPP consultancy by the end of the year, and says it is ‘time to move on and seek other challenges in support of the design community’. Jacobs, formerly international president of Jack Morton Worldwide, joined as global chief executive of Fitch in April, taking the chief executive responsibilities from Fitch. She says her responsibilities and the management structure will remain the same in the wake of Fitch’s departure. Rodney Fitch founded Fitch in 1972. Rodney has had an extraordinary career. His influence and vision will be missed. He is nor replaceable. I wish him the good luck. during the 80’s and 90’s as a freelance visualiser. Thank you very much Rodney, and all the best for the future.